In this post, you are going to download the latest setup of SamFix tool. The tool is always free and available on several sites for free download. You can use this easily if you have a little bit an experience in flashing. 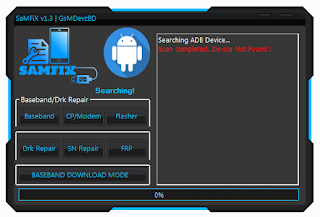 Sam Fix is a free tool which lets you fix software errors on Samsung devices. There are a few important for every flasher to follow. That's all, if you will follow the above points carefully, you can easily fix firmware issues on your Samsung phones. Now you can download the latest setup of Sam Fix from below links. If you are unable to download or facing trouble during installation, you can easily contact us via comments. We will help you very sool if possible for us.